Ajith Kumar's stunt sequences seen in Billa 2 trailers have taken the Thala fans by storm, thereby generating a huge hype on the action quotient of the movie. In fact, his humility and daredevil performances have impressed the stunt direction team too. Kecha Khamphakdee, who is the stunt co-ordinator of Billa 2, said that Ajith Kumar has done a tremendous job and it will be a treat for his fans to watch their hero in the daredevilry acts. Especially, the near death defying helicopter stunt will impress the audience. The actor has brought great intensity to sharp and powerful scenes. During the shooting of Billa 2 in Georgia, they had a tough time shooting action sequences when the weather was extremely cold and the location was suddenly hit by a huge snowstorm. When they decided to call it for the day after their muscles became stiff due to cold, Ajith and Vidyut Jamal asked the stunt team to carry on the shoots that amazed the Georgian stunt team, claims Kecha. Earlier, Stefan Richter, the stunt director of Billa 2, had praised Ajith Kumar is fantastic in action scenes. He tweeted, "Believe me guys, in my career as stunt man, I have been a real daredevil. But when I saw how Ajith jumped off the helicopter and hung on one hand, my blood froze in my veins!" Santhanam has turned producer and launched his own banner Hand Pad Films. He is producing a film titled Kanna Laddu Thinna Aasaya along with Ramanarayanan's Thenandal Films. The title Kanna Laddu Thinna Aasaya is inspired from the ad campaign of a popular chocolate brand. 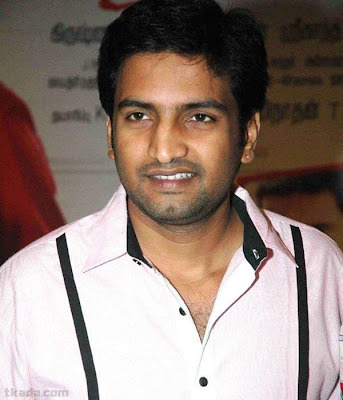 Santhanam is teamed up with 'Power Star' Dr Srinivasan in the film a full length laugh riot. Visaka is the heroine. The others in the star cast are VTV Ganesh , Mayil Samy and Kovai Sarala. The film is directed by Manigandan with camera by Balasubramaniyam and music by Thaman.